A vacation to Baltimore's Fells Point neighborhood found us opening a bottle of French wine in the lobby of the Inn at Henderson's Wharf. I would have preferred to explore some local wines, but there was only one in the wine store down the street. 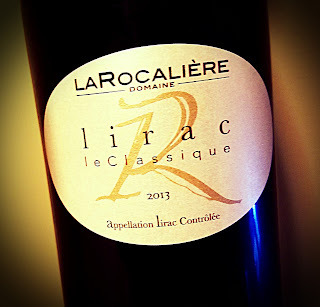 Domaine La Rocalière produced the Lirac Le Classique 2013. The vineyards from which this red Rhône blend grew are located in the towns of Lirac and Saint-Laurent-des-Arbres. The domaine also has vineyards in Tavel. The vineyard boasts Grenache, Mourvèdre, Syrah, Cinsault and Carignan vines for rosé and red wines - Grenache Blanc, Clairette and Roussanne for white. The 2013 Lirac le Classique is made from 34% Grenache, 33% Syrah and 33% Mourvèdre grapes. Alcohol sits at a robust 15% abv. This medium-dark blend of Grenache, Syrah and Mourvèdre has a gorgeous ripe nose, full of big red cherries and blue berries. It carries a rustic edge underneath, with pepper and bramble peeking through the fruit. 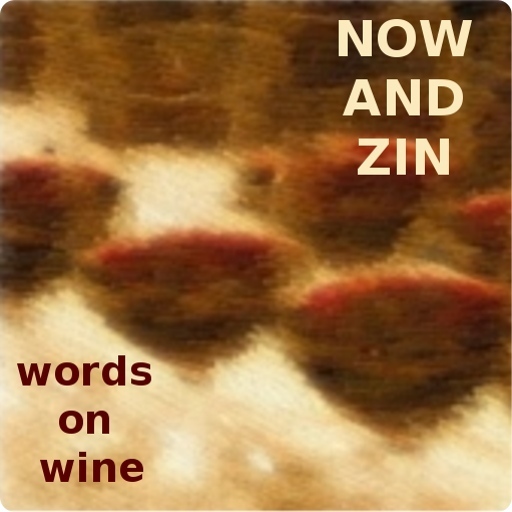 The palate has savory notes on top of the dark berries.